To use reCAPTCHA you must generate api keys from the Google's recaptcha website. Api keys are free. Click on the "Get reCAPTCHA" blue button in the top right corner of your screen. You are now required to login with your Google account, if you do not have one, register for a free account. In order to register a website, simply type anything into the "label" field of the form. For example you can type the name of your website. 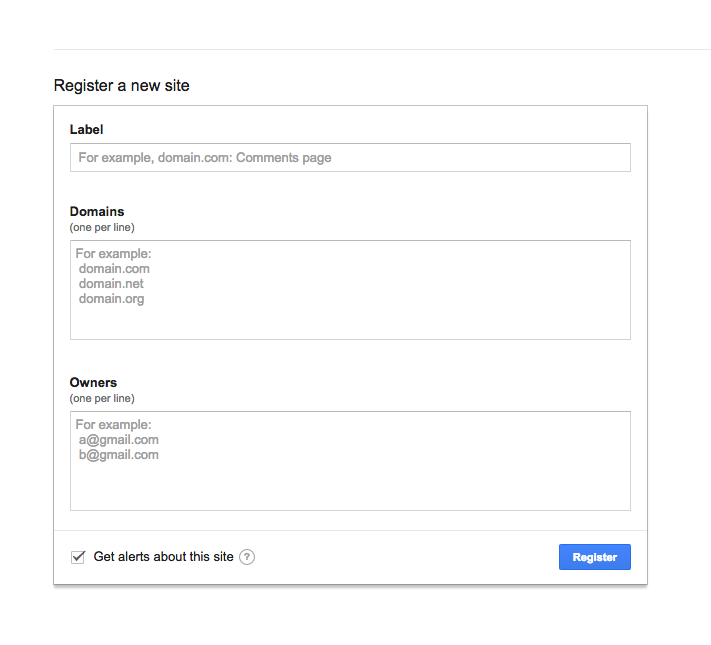 Type your website domain into the "Domains" field of the form, like displayed above. 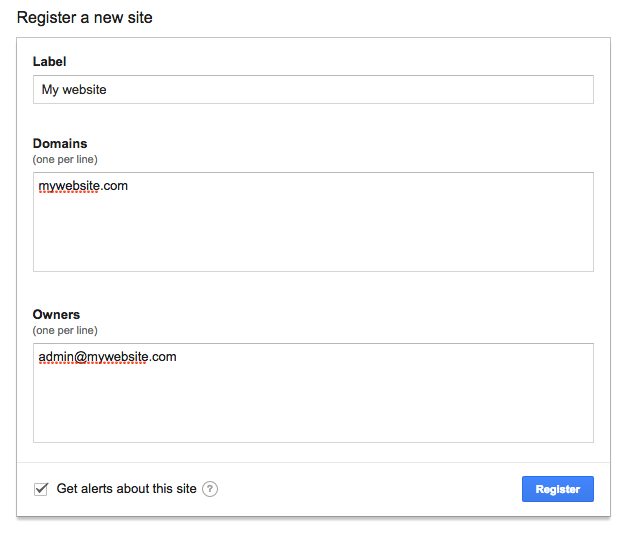 Enter your email address into the "owners" area of the form. Once you've filled the whole form, press the "Register" button. If everything is correct, you will be redirected to a new page with your new api keys ready to be used.